Editors Jim May, ACE and Bob Ducsay have worked together numerous times, including Deep Rising, The Mummy, and Van Helsing. Here, they discuss their latest collaboration, Rampage. Editors Jim May, ACE and Bob Ducsay have worked together numerous times, including Deep Rising, The Mummy, and Van Helsing. May’s credits also include Goosebumps, Cowboys and Aliens, and Chronicles of Narnia. In this incredibly thorough, in-depth (and funny) interview, they discuss their latest collaboration, Rampage. Please note, that you can right-click on the images (especially the timelines and bins) and call them up at full resolution in a separate browser window, for better ability to examine them. HULLFISH : You guys have worked on a bunch of movies together. MAY : This is our sixth movie together. DUCSAY : 6 long movies. HULLFISH : Yeah there’s marriages that haven’t lasted that long. (l-r) Rampage editors, Bob Ducsay and Jim May in the cutting room. MAY : Speaking of marriages, we went to each other’s weddings – we’ve known each other that long. The point is, we’re friends, first and foremost. We go way back to 1996 when, as editor, Bob hired me as the VFX editor and VFX producer on a movie called Deep Rising. This was before I started cutting. Bob needed somebody for this big creature movie that he and Steve Sommers were doing. I think that was Bob and Steve’s fourth movie together. DUCSAY : Jim knows my filmography better than I do. MAY: When we met, I had worked my way up through the ranks in VFX. I’d worked at a bunch of visual effects facilities – Boss Film, ILM and Sony Pictures ImageWorks – and eventually, I moved into feature editorial as the visual effects editor in the cutting room. Bob has been a great mentor and a guide on this path of moving up into picture editing. Especially since working at VFX facilities and being a VFX editor is not the traditional path to cutting features. DUCSAY: And here we are all these years later still working together. It’s really fun because we know each other well and we know each other’s strengths and weaknesses and we’re able to complement one another. It’s a great partnership and it’s fun when we get the opportunity to work together. I haven’t worked with any other editor more than I’ve worked with Jim. MAY : So the immediate advantage — I don’t know, Steve, if you’ve ever worked with another editor, but — there’s always that sort of dance that you do of trying to figure out who’s the lead editor and if there’s not a clear delineation, then the question becomes: how’s this going to work? Who’s cutting what scene or what section of the movie? Who gets the final say about an edit? There’s always a little bit of politics involved with that. But as you can imagine now, six movies later we’ve sorted that out to a degree. It doesn’t mean that we don’t have disagreements or we don’t see things completely differently at times, but, after this amount of time, I really feel I can say anything to Bob about an edit and vice-versa. Neither of us is going to get too worked up about it. It’s a great position to be in. You’re in with somebody you know, respect and really admire as a coworker and as an editor, but also as a friend, too. There’s not much I think I could say to Bob that’s going to damage that friendship. his disagreement about something and figure out why we’re not on the same page. Also, creatively if everything is happy, happy, joy, joy all the time I don’t think that’s necessarily the greatest atmosphere either. I think a real honest relationship and having those sort of collisions that happen occasionally is actually very valuable to the process. MAY : Collision’s a good word for it. A part of editing for me is about choosing your battles. Not just with the director or producers, not just with the studio but with all of the people who might have a vested interest in the project. Cleary, there are things – dialogue lines, certain takes, transitions, beats – decisions, basically – that I care deeply about in a movie and there are things that I care less about. You choose your battles and fight for the things that matter most to you. And so it’s always fascinating to bring up something with Bob and see his reaction and gauge the levels of pushback and passion that he has about something. When you see how passionate someone is, you realize, Oh this is something I thought might be an easy note to address but actually it turns out there was a lot of thought that went into this edit, and it’s something that Bob felt very passionate about, so there’s a rethink. We have these really fascinating conversations about the story, the edits and the process and it’s been really fulfilling to have that for the last few months. There’s an honesty there. I think it helps the film. Makes it stronger. HULLFISH : I feel the same way about notes: there are varying levels of how passionate you are about that choice. Sometimes I’m fine with another take. I don’t really care one way or another and sometimes it’s like, “No! There’s a very good reason why it’s this take and only this take and you shouldn’t do any others.” So that level of passion changes scene to scene or take to take. DUCSAY: That’s certainly true. I think back to the early films that I did and my early experiences, and I was immovable on almost everything. But you learn over time that even though you might be right about a lot of these things, some things really just don’t matter as much as others. We obviously work in a very micro oriented job where a 24th of a second is meaningful, at the same time some things just aren’t as important and learning how to collaborate with everyone becomes a very important part of the job. Over the years, I’ve become much, much better at doing all those things. Directors will often say no to an idea the first time you pitch something that doesn’t exactly fit with what they initially imagined. And if you feel very strongly about it, it’s good to circle back around maybe two or three more times over the course of cutting the movie to try to get a note implemented. And I’ve found that it often works out when it’s something that is really important to the movie. You just have to be patient. HULLFISH : The funny thing is that you pointed out that you were immovable when you knew less. When you were less good at your job you were more positive that you were right and now that you’re more secure and you have more experience I think you can let things go easier. But it’s also a process. That was one of the big things that I learned as I edited more. I used to feel like I had to prove my point that day. I later learned that I could make my point now and not push it if I didn’t get agreement, then in two more months I’d make my same point again and maybe by then the director would be ready to hear it… but he’s not ready to hear it today. DUCSAY: That’s exactly correct, and it was very much my point. The thing that you learn is that it doesn’t have to be solved today. And the other thing I’ve learned too is that sometimes there will be something that will be so problematic in a movie and so obvious that I won’t put one chit of effort into it because it’s going to get solved by somebody else. Because, as you know, it’s a highly political job and you have to weave in and out between the various groups that make up of the collaboration that is a movie. And not everyone is always on the same page. And when you can have something that’s an obvious big problem solved by someone else it allows you to keep that capital and keep that powder dry for another issue that really needs the editor to lay down on the tracks. HULLFISH : Before we get off of the subject of the two of you guys working together, one of the big things is just purely about trust, right? MAY : There is a trust there. Knowing Bob as well as I do, knowing that I can walk in and say something like I watched the cut again over the weekend or watched it during the last preview and there’s one thing that’s sticking in my craw, and I think we should look at it. I know that if I sit down with Bob he’s going to know that the reason I’m talking to him about this is that I care about the movie and about making it better. There is no upstaging, it’s coming from a pure desire to make the movie better. Bob and I have such a history together. The first movie I worked on with Bob – Deep Rising — was a bit of a political movie and it was both fascinating and somewhat painful to watch the battles that were happening at the time. It got political. So, over the years, it’s been very informative and it has helped build that trust to be able to see that Bob’s goal always is to make a great movie and take care of his director and producer(s). DUCSAY: By the way this is a very interesting point because I do find it fascinating that sometimes people are not looking out for what’s most important. For me, it’s always been pretty clear what matters: movie and director and not me. Not anything else. We all have an ego and we all let that get in the way sometimes. But, if you try to always work for the movie and the director, I think that a lot of these other problems fall away. And this notion of trusting your colleague, when there are a couple of editors working together, I think that it disappears as a problem because if people are really just working for the movie everything else solves itself. HULLFISH: You guys have worked for this director a couple of times and as long as the director knows and believes that you are doing something for the good of the picture, he’s going to listen to you more. DUCSAY: There’s no question about that. The reality is is that you do still have the studio and producers. They’re not always in sync completely with the director. Hopefully, they are. But sometimes there are things that you try to facilitate for these other collaborators. Because it can be helpful to everyone’s relationship, right? But you have to believe in all of those things. Say there’s something that the studio or producers want to do that you just don’t agree with. But the reason that they’re pitching it to you is because they want you to somehow facilitate that idea with the director. There’s nothing that you can do to make that work. I wouldn’t know how to do that, because there’s no way you can pitch something you don’t believe in. MAY: We had a meeting a few weeks ago with the studio and I turned to them at one point and said I’ll be honest with you guys, I didn’t think this one particular note you gave was going to work. But we’ve learned to look at and consider and weigh all notes, and because the Avid makes it so easy to quickly do so, try all notes. I turned to the studio and said, even though I didn’t think this was going to work, check this out. I pressed play and they’re like well that works and I said exactly – that’s why I wanted to show it to you. It became less about my thoughts, my ego and more about the best idea wins. This was a good example of that. Being open to new ideas and trying to implement them. That’s why we’re in this seat. HULLFISH: What’s the logistics of you guys working together as a team? DUCSAY: It depends on the specifics of the movie. On this film, it was quite different because I came on after the director’s cut. It’s kind of astounding that Jim was able to do what he did by himself before I came onboard. The studio had already seen the movie and was really happy with it. When I started, I concentrated on the first half of the movie and Jim took the second half. Eventually, we switched and I handled the second half through the end of final mix. This is as simple as these sort of situations can ever be. I started in the first week of October so I’m a short timer here compared to Jim. HULLFISH: Jim, when did you start dailies and principal photography and when did you wrap that up? MAY: Principal photography began in mid-April in Atlanta. And we wrapped the second week of July. The schedule on this was crazy tight. We’re releasing on April 13th, and began shooting on April 12th of the year before. The creature work is amazing, especially considering the schedule. There are huge creatures in this film. Three of the major characters are all CG creatures. We were able to get WETA (VFX house in New Zealand) because our project fit into a small window they had. They had just finished War for the Planet of the Apes and they were not yet starting on the next Avatar movies. And, man, with our VFX supervisor Colin Strause overseeing them, they just knocked it out of the park. As complicated as the VFX for War for the Planet of the Apes are, I think they had more than two years to do the work on that. Not so for Rampage. DUCSAY: From the start of photography to when it will be in theaters will be less than a year. That’s extraordinarily tight. San Andreas, which I also did with Brad, is a simpler film and we had 13 months— so a good five or six weeks more than on this movie. I really can’t think of a movie of this scale that I’ve worked on that was finished in under a year. It’s doable of course, it’s just infinitely more difficult and particularly hard for editorial. HULLFISH: You guys have both worked on a lot of effects-heavy, action-heavy movies. 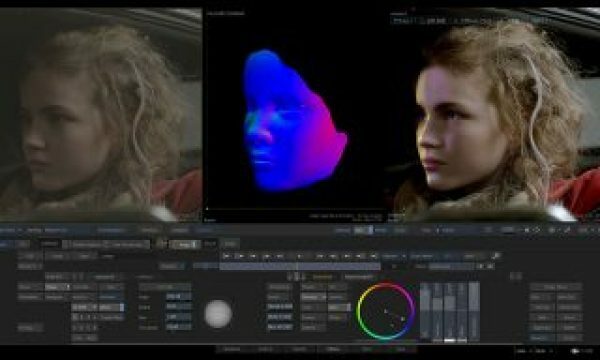 What are the challenges of editing these VFX heavy shows? The 2nd Unit team shot a bunch of material for the interior of the Apache helicopter. Some of the footage matched clips in the previz / story reel, and some were pieces that were picked up as additional coverage. Esther added a 1-frame clip from the previz (shown at top with the XS1900 numbers) to clearly show what the new footage was matching in the previz, and then also added a title clip (on the left in each case – white over black) to explain the action that was covered. Esther built hundreds of bins in this way, and, as you can imagine, it was very helpful. The ‘_sel’ suffix means that this clip was selected by the director on the day. DUCSAY: The macro issue and the difficulty of doing these sorts of films is that it’s as if photography never ends. Because there are new visual effects dailies every day. Throughout the post-production process, you’re getting new material — and it is a highly iterative process, which means that even that thing you just got is going to change so you’re always chasing a moving target. The complexity of doing creature films is greater than even VFX heavy films like San Andreas. With a creature movie, there are significant characters that don’t exist in the original photography. So putting these scenes together can be quite challenging because one of your actors isn’t even in the scene through a big chunk of the process. MAY:Yep. The VFX shots really are like dailies – you get multiple versions and passes, animation blocking passes, animation passes, rendered and lit passes, and each of these passes has their own little idiosyncrasies and you’re constantly manipulating them. They get plugged in and they’re highly interactive in the cut. An animation pass will show up and you’ll have to add frames to make it work with the next cut, which may be a practical live-action shot, or it might be its own animation pass, or a final VFX. This is nothing new to editors who’ve cut VFX films, but you do find yourself constantly rebuilding the film on these projects. Locking picture is tough with dozens of new VFX showing up. DUCSAY: This picture was locked last Sunday (March 11, 2018) and we finished mixing the movie on Monday. So we were making picture changes throughout the entire mix of the movie. MAY: Our sound team, led by Per Hallberg, are used to this, sadly. As the FX shots come in, and there’s always some stragglers, you see that some of the FX shots aren’t there yet. They need some help. So we go in and shave off some frames here or there and see if we can make the cut better. And for some of these shots, you don’t know until you know and can see that the shot’s not going to get there. We take off frames, maybe add frames to the shots around it, or lift the shot out entirely. It’s the same process you go through with live-action dailies, but this is like the shot is being re-created, re-shot every day. The constant manipulation of the edit drives the sound team a little bit nuts, but on a movie like this, they’re fully expecting it. All the big sound teams are ready for that on a show like this. You mentioned challenges. One way this process is made less challenging is with the use of previz, a lot of previz. On the Chronicles of Narnia The Lion Witch and The Wardrobe, I got off the plane to work on the movie down in New Zealand and the other editor showed me what they called a storyreel. The director and the editor both came from animation backgrounds (they had done Shrek and Shrek 2). They had built, for the prior 18 months before shooting, a reel of previz and storyboards cut together, with a ratio of about 1/3 previz to 2/3 storyboards. They had voiced in all the actors’ parts with people from around the office (and in some cases were able to get ADR from the real actors). So they built this reel, and basically, I was able to watch a 90-minute edit of the movie prior to shooting. It was really helpful. It showed the ebbs & flows of the scenes, and ideas that the director had for what was going to happen when he went out and shot the movie. Blocking, moves, etc. Rampage’s story reel was not 1/3 previz. When I started working on the movie, it was three-quarters, maybe 85 percent previz. Brad Peyton used Third Floor in Hollywood for the previz on Rampage. They’re fantastic. Brad went over there with the VFX supervisor and Jaron Presant the DP and spent months and months and laid out his movie pretty close to, if not exactly the way that he wanted to shoot it. This is a timeline grab of the previz shot introducing Lizzy, the giant crocodile vs. the final VFX shot. It Illustrates how closely they stuck to the previz in some of these cases. And when he shot, Brad stuck with the previz pretty religiously on a lot of the scenes. I think because of the schedule he felt like he didn’t have time to vary that much from his own previz blueprint. For example, the final battle scene takes place in Federal Plaza in Chicago. The team at Third Floor had the parameters of what Federal Plaza looked like, built accurate CG models, and Barry Chusid and his Production Design team and art directors are then working from Third Floor’s previz. The previz was a tremendously valuable guide for all departments, especially during pre-production. They could gauge what they were up against. Plan ahead. Also, when Colin the effects supervisor went out with the second unit director and shot plates in Chicago for the Federal Plaza sequence, the previz was invaluable because this part of the movie hadn’t been cut yet. Again, he used the story reel as a guide. They kind of had to. I’ve been asked about previz reels, and why we don’t use these as more of a guide as to how the scene should be cut. In some cases, you can, but I rarely look at or reference the story reel when I’m cutting a scene, and there are many reasons for this. One, you’ve added real actors, and performances come to life, literally, so the edit is completely redefined. Also, some of the shots don’t work as well as the previz did, camera moves are different, timings are different. Once the live action footage comes in, you have to look at that as, “here’s what you got,” and build the scene from there. There would be times when I’d check in with Brad and say, “Hey, I’m missing this shot – where’s is it? It was cool in the previz,” and he would say, “We didn’t get it, we ran out of time, etc.” So there’s a point where you sort of archive the previz /story reel and move on. This is a timeline view for entire Reel 6. This is the last / final timeline for this reel. The audio tracks all show the final mix stems (complete with waveforms – you can see where the movie gets LOUD! ), and the green video clips up top signify that the shot has been finaled by the director. They left the original DIA on audio layers 1 and 2 throughout post – it helps the sound team / DIA editors reference where they’ve made changes, even though these clips are usually muted once we move past the first temp mix. Final music score is in blue at the bottom. There are some blank spaces in the music track – it wasn’t ALL wall-to-wall score! HULLFISH:Want to talk about structure of the story? As every film evolves the idea of the story evolves as you’re editing. When you’re watching, what is guiding your sense of whether something that was in the script is working in the edit? DUCSAY: Anyone who makes movies knows this. You start with a script that’s the thing and then you shoot it and it becomes this new thing. And when you edit it, it becomes yet another thing. You have to keep that in mind as you cut the film. Original intention doesn’t really make any difference if you didn’t get that intention on film. And so sometimes there are problems that arise when you’re putting a movie together because what was intended in the script didn’t actually come through. You then have to either jettison that thing that doesn’t work or you try to find a way to try to get it back by some other means. For me one of the most important things when you start cutting a scene is to read the scene again, because I want to remind myself what was on the page and what was intended initially because there might be little details that are important—especially when you see something that was intended that was missed— or not clear enough— and you have the opportunity —especially while you’re still shooting — to ask for it. Obviously, there’s a lot of things that you can do through editing to try to revive an idea that’s important to the movie that didn’t quite make it to the screen, but sometimes it also means that you have to block out something for new photography. And in a movie like RAMPAGE, you can solve problems through new visual effects instead of additional photography. This is often a preferred route because shooting is always such a big undertaking. You have to get talent together, work around conflicting schedules and all of those things— and in addition, it’s tremendously expensive. But if you can solve a problem with a visual effect — you just have to convince somebody that it’s worth X number of dollars. Here’s the idea. Here’s how we can solve it. And this will cost you sixty thousand dollars. MAY: One of the advantages that Bob was able to bring to this when he came on was a familiarity with all of the players: from the director to the producers to the VFX supervisor and the lead actor (Dwayne Johnson), he had worked with them all on San Andreas. But he also hadn’t been there for the shoot. So there was a certain kind of 30,000-foot view that he was able to bring to the project. I was there from day one, keeping up to camera, and the assistants and I were in the thick of it. But because of this objective view, Bob was able to say, for example, I think this part of the movie is working pretty well but I feel like you’ve lost a bit of connection to George (the albino gorilla who is the central CG character) and Bob was able to remind us that George is one of the main characters as well. We hadn’t necessarily lost sight of that, it’s just that every time you cut to George, it’s 30 – 50 thousand dollars, and we were always looking for ways to pare down the number of shots. Bob pushed hard to remind us not to pare too deeply. And as it worked out, if a particular shot of George didn’t exist, we could turn to the postviz team that was working with us and who had all of the CG models and we could ask them for some quick thing to illustrate a concept. DUCSAY: With creature movies, it’s extremely valuable to have a postviz operation. Postviz allows you to show what you need— what you want to spend money on. Otherwise, all you can do is pitch: imagine if George was here and he did this and then I act it out in whatever stupid way that I do and maybe they get it, but maybe they don’t. It’s still pretty abstract. MAY: You have three people in the room who when you say “imagine George was here,“ they immediately see dollar signs. And, to be fair, they’re right. He’s expensive. DUCSAY: Right. So the thing is when you have postviz, you just walk over there and you say I need a close-up of George and here’s what he does. They execute those things, you put them in the movie and you can show people exactly what you want and why it’s valuable. Not everyone involved in making the movie has the same level of experience with just imagining something that’s not there and suddenly with postviz, it becomes very clear. It’s not even a question because suddenly a scene is transformed. One of the things that happen in these films is that everybody is under an enormous amount of pressure when they’re first putting the movie together to keep the visual effects budget down. And so, because of that, particularly with digital characters they’re not given all of the coverage that is needed. George is as essential as any other character in RAMPAGE. It just so happens he’s digital. Unfortunately to keep the budget down they decide — before the film is cut — that you only need six George shots in a scene. And when you put the scene together, you’ve got a close up of Dwayne Johnson interacting with George but you don’t have the closeup of George. So then you might wonder why you’re not exactly feeling everything about the relationship between the real-life person and the digital character that you think you should. And this is where the postviz department provides it’s power. You build the new beat, put it in the cut and can now illustrate what you need. You make the movie better because that character’s given the same amount of focus and attention that the human actor is given. HULLFISH:You’re talking about postviz people who are down the hall and at your disposal, not WETA creating postviz… you can’t ask WETA to knock out a closeup of George. DUCSAY: That’s correct because the thing about the in-house postviz team is that we can just walk over there and act out what we want and the post viz artists execute it quickly. These in-house operations are not burdened by a deep infrastructure like at a WETA or at an ILM. You could make that same request to WETA or ILM, but it would be too costly. It would be on everybody’s radar and it would take a really long time because they’re not set up to do that sort of work. They’re designed to make beautiful visual effects that take an enormous amount of time and money whereas with postviz the new shot can be handed back to you later that day. HULLFISH: I’ve also heard from people who’ve cut films with a ton of previz that it’s so important to have a real editor’s eye on the previz. MAY: I was able to do that on this film. I came on about three weeks before we started production and I was actually brought on by the visual effects department with that in mind — to try to get an editor’s eye on the previz story reel. Brad, the director, has a very strong editorial sense as does the VFX supervisor, Colin Strause. And so between the two of them they had the previz story reel in really good shape, but I think the idea was, let’s get somebody in here who actually does this all day long for a living. To come in and look for things that were duplicated beats, other ways to cut a scene or a transition, and just get another set of eyes on it – eyes that in my case were then going to be cutting the film once production started. DUCSAY: Three weeks is not an enormous amount of time. HULLFISH: That’s what I was thinking! MAY: But, it’s better than in most of these situations, right? Because usually, the editor comes on just days before principal photography starts. DUCSAY Most films I’m on, I’m starting a week or two before and I’m rarely involved in the previz. When you have the opportunity to do that like Jim did, it’s great because at least that was three weeks of improvements that happened. MAY: I arrived in Atlanta and was just getting up to speed when the rest of the crew was operating at 100 miles an hour. Obviously, the full art department is ramped up, and a full VFX team has ramped up. Everybody. And like with any editorial project, you do have to live with it a little bit and these guys had lived with the story reel a lot. It took me a bit just to catch up to their 100 miles an hour. Screengrab of what the team referred to as N-CAM. Basically, it’s a crude graphic representation of how the greenscreen plate (in this case of Davis) would fit into the final parameters of the shot. It uses WETA’s model of Federal Plaza, and works to help the team get a rough sense of the final framing, etc. Here’s something that did come up in looking at the story reel that we weren’t really able to address during the shoot: there’s a sequence in which we introduce a military bomber approaching Federal Plaza. It’s going to drop bombs on the destruction site to annihilate the creatures. And in the script and in the story reel, after we set it up, we’re away from the bomber for a long while – it really just showed up at the very end of the film. I thought that this, being away from the bomber – was definitely an issue in the story reel, and would eventually be an issue in the film. It was something that wasn’t fleshed out further at the time for budgetary or scheduling reasons or whatever. My hunch was that this would be something that we’d need to figure out at some point, but I thought we’d see how the film evolved and see if I felt the same way as we got deeper into the process. Meaning, this wasn’t something I was going to stomp my feet about. Then Bob saw the film around the Director’s Cut period and had the same concern. The story sets up the use of the tension of a bomber approaching the site, and then it is kind of shelved for a reel and a half. We also had a friends-and-family screening and that was one of the issues that came up: What’s up with the bomber? So, needless to say, hunch confirmed. Bob and I then said, OK let’s figure out what we can do. Brad Peyton said, pitch me something and let’s see how we can address this. This is a timeline view of Reel 2 as it existed around the first screening. Only a few VFX shots in the Video Layers. Because the scene referenced in the interview had been turned over so early, some of the work from WETA has already started to trickle in (clips in orange). No ADR yet, DIA on audio tracks 1 & 2 usually, and SFX work (clips in green) built by Kenny Krauss on layers 3-14. Temp music score on the bottom two layers (clips in blue). I found a bunch of stock footage of B-2 bombers taking off from an airbase someplace. And I asked the music editor for a piece of music to kind of Top Gun it up a little bit. And I was able to put together a little montage of bombers getting ready and taking off. And then from there Bob and I sat down and looked at the last act which really wasn’t built with intercutting in mind. It was a very linear, straightforward act – it features Davis and George in a battle with the other creatures – and it didn’t have those organic breaks into which we could introduce another story. But then we cracked it open. We wrote down ideas: what if we were to stop right here in the middle of the scene or manufacture a natural break, like Dwayne rolls down picks up a gun and says, “OK here we go.” Cut. Let’s try that. And in doing this we were able: to design this intercut version of the last act and a couple of days later we showed it to the director and a couple days after that showed it to the producers and studio and got everybody on board. So it comes down to the idea that you mentioned and Bob mentioned that sometimes you have to let these ideas simmer and sometimes they’ll become soup. This is one of those ideas that eventually made it into soup. Now we watch the film and think, how was this ever designed without it? It’s such an integral part of the last act. Builds the tension. HULLFISH: Did any of your idea require additional photography? Or was it all stock?. DUCSAY: It was additional photography and VFX. There’s another maybe three or four small scenes that were photographed to accommodate the idea. It is a perfect example of what we were talking about before with postviz. Every movie like this that I work on, I wind up doing an exercise like this. You put the thing together and you show exactly how it works. We laid it out, Brad saw it and had some changes that he wanted to make and we did those changes. Then the writer came in and actually wrote the scenes. But the thing that’s essential is that you have to show it in the cut to see how it works. MAY: We weren’t going to be able to sell it by just showing someone a couple of pages of script. DUCSAY: Jim did a tremendous job with a stock footage rip-o-matic. He basically built some of the sexier things with B2 bombers, and fighter jets. People get excited about stuff like this because it’s visual, it fits within the movie, it is exciting and it opens up a section of the film that had previously had just one storyline. I think it’s great when you can execute something as well as Jim did with this bomber stuff because people can completely feel it and see it. It’s not abstract. And I think it made the movie a lot better. HULLFISH: And that was still when they were looking at it in the rip-o-matic stage? MAY: Like I said, I had this hunch back in the early previz days that this is an idea that was not fully developed yet and Bob came in and said, “This is not fully developed yet.” It was one of those things about choosing your battles. We weren’t going to let this battle go. DUCSAY: I was a very useful idiot when I watched the movie the first time because I could just come in and say, “hey what’s up with this?” I have no agenda because I wasn’t there when these decisions were initially made. I wasn’t involved in any part of it. HULLFISH: Many editors have talked to me about the importance of maintaining objectivity. Right? For you, you had perfect objectivity because you’d never been part of those early choices. HULLFISH: Maybe we need to suggest to the DGA and the PGA that there’s this new job title called the Objective Editor and you just bring the guy in before the end of the movie. MAY: I’ve been on these projects — several movies in a row actually — where one of the producers or the director had a batch of writer friends come in to take a look at the movie, to see if there were a couple of jokes that could be punched up or story things we were missing. It can be really helpful. And lately, I’ve started to suggest bringing a small group of editors to take a look as well. I would love to get a group of like seven or eight editors who can come in because they’re not looking at this way a writer would. They’re looking at this as: this is what you’ve got, and here’s what might fix what you’ve got. DUCSAY: Absolutely true. The director, producer, the studio sometimes invite their writer friends into the process and they’re so valuable because they know so much. And I always love showing the movie to writers because they come up with fantastic ideas. BUT the problem is that they sometimes come in with the notion of: “this is how I would have done this movie.” But they didn’t make this movie. Somebody else did. So what happens sometimes with writers is that they come at the problem as someone who originates — who creates from nothing. And I think what Jim is saying is that an editor will come at a film with more practical advice about what can be done with what you have, not what could be done if you started from scratch. HULLFISH: It would be great to have a group of editor friends screen a film where you say, “look you’re not going to edit it don’t try to impress the director but watch this and what do you think?” I think you’d get great feedback. DUCSAY: No question about it. HULLFISH: Is your approach to cutting an action scene different than when you’re cutting dialogue? This is a screenshot of the bin view for some of the dailies of the plates for the interior C-17 sequence. These shots are for where George hears the signal and starts to wake up. On the left in each case is a clip of the previz shot for which the dailies (on the right) were shot. The GD shot number refers to the VFX shot name, as it was given in the previz story reel. Some of the plates were captured clean, meaning without an actor or model, and you can see some of the plates have WETA’s George model in for lighting reference. Esther Sokolow, the 2nd Assistant Editor, would organize the dailies, especially the ones for the VFX-heavy scenes, in this way. It was very helpful to be able to quickly refer back to the specific pieces of previz. The ‘_sel’ suffix means that this clip was selected by the director on the day. MAY: Here’s an example. There were two significant action sequences shot in Atlanta that I couldn’t edit as a whole or in a macro way. They had to be approached in a more piecemeal way because production was jumping back and forth between two sets – one was indoor, and one was outside – so depending on inclement weather, they used the indoor set as cover. To have that story reel – that template that Bob is talking about – again, was invaluable. It was late in the schedule. The crew would be outside shooting the Federal Plaza scenes, then there’d be a warning for potential lightning strikes. Crew moves inside. Brad checks in with me and says, we’re moving inside, where are you at with the C-17 (interior) edit? I show him. He checks off certain shots, weighs the effectiveness of others. Looks at the puzzle pieces – again reflected by previz in the edit – that we still need. It actually worked in our favor in a way, to have them jump sets like this. It was really nice to have that time to kind of step back — even for 12 hours — while they were jumping from set to set to be able to go in and sort of hone it a little bit more than if you were only focused on a single scene. HULLFISH: But you couldn’t just wait till all of the stuff was shot before you started editing because by editing it as you go you’re discovering things that you want pickups on. MAY: Bob and I are big believers in trying to keep up with the camera as much as you can, and those two scenes were a great example of why. There are definitely scenes that will take days to shoot and take days to edit, even to get a rough first pass. But I’m really big on trying to stay right behind where the director’s at for that reason you mentioned. There are a couple of scenes in our war room where the director called me and said, “hey I’ve got some time. What would you need?” And because I had already made a pass at the scene, I was able to tell him, “what I would need would be this, this and this.” Brad loved that input and it was great to have an immediate answer for him. There’s nothing worse than discovering you need an insert or a piece of additional footage after the set has been struck. DUCSAY: How else are we going to make ourselves seem so invaluable? (laughs). HULLFISH: Yeah, these are supposed to be interviews where the editors are the heroes! MAY: Anyway, Brad shows up on set every day extremely prepared, knowing there are so many things that can go wrong – so much entropy that is involved in doing this. I think he wants to limit that entropy. Screengrab of the Avid timeline showing how the team implemented the reference material, in this case for the beat where the glass breaks in Atkins’ escape capsule. There’s a layer of reference footage of glass breaking, so that they could look at the image in the Avid to compare and contrast with the VFX shot, and check to see how closely it matched the real thing. The orange clip on the top layer contains several pieces (shown in detail on the left / source monitor). DUCSAY: I think one of the most important things about Brad’s skill is — like all good directors — he’s got a very strong point of view and he’s very decisive. And this doesn’t mean that he doesn’t collaborate. It doesn’t mean that he doesn’t change his mind when it’s necessary. But the reality of it is that he knows the kind of movie he wants to make. He has got everything together and it makes what we do so much easier because you’re starting from a point of someone who knows not only what he’s doing but exactly what he wants to get out of the movie from a tonal standpoint, from a stylistic standpoint. And those are hard things for a director to do. MAY: So let me give you a really memorable example of how strong Brad’s POV and his decisiveness is. One of the first scenes that Dwayne shot was where he comes across George crouched in this cave and then you realize George has just killed a grizzly bear, which is clearly not normal gorilla behavior. Something is way off with George. Dwayne approaches George in the cave and they have this whole conversation, using sign language. I got the dailies on this scene on a Tuesday – he shot it on a Monday – and I put the scene together quickly. I could sense that Brad was in his sweet spot. His stuff was coming together really smoothly by then. I was pretty happy with my cut on it by mid-day Tuesday, so I called Brad in Tuesday night and he watched it and said, “Turn it over to WETA. This is exactly the way that I pictured this scene.” So, shot on a Monday, edited on a Tuesday and turned over on Wednesday. That’s not me patting myself on the back. That is the director in his zone, knowing inherently how he wants the scene to play. Of course, when Bob came on to the film, he re-edited that scene. (all laugh). DUCSAY: A better ending to that story would be: and then we cut the scene. (all laugh). Seriously though, that scene is virtually identical to how it was turned over. This screenshot illustrates the similarities between Jason Liles’ motion-capture performance and the final character of George. Eyes, mouth, hand gestures were all captured and built into the final renders of George. Having Jason to cut with made a huge difference. MAY: Another really helpful element on this movie was that we had an actor named Jason Liles played George during the shoot, and it was great to be able to use this performance instead of cutting to a blank plate, or cutting to a tennis ball on a stick. Brad was able to look at Jason playing a gorilla in that scene — his body movements, his facial movements — and know that if the CG team captured the same emotion – what Jason was bringing to the table – the scene would work. Jason really took this seriously – he spent months studying gorilla’s behavior. Honestly, without Jason Liles’ performance, this would have been a much more difficult movie to edit. He really brought George to life, and, by the way, gave the other actors something and someone to act against. With this crazy schedule, it would have been really difficult if not impossible to render George without Jason in there. You’d be key-framing him. You’ll see in the film. It’s not just a big Dwayne Johnson action film. George is Davis’ best friend. They give each other a hard time at times, but also share a real bond. It’s why the film scored so well in screenings – because there is this heart to it at its core. HULLFISH: Wow. That’s something critical for the readers of this interview to realize: that when you showed that scene to Brad, George is NOT in that scene. MAY: No. But Jason is. At least in a lot of it. He’s in full simian mode at that point. Davis and George communicate through sign language and there’s a simian element — when apes and gorillas and chimpanzees use sign language there’s a sort of a looseness to it. It’s not super-tight like a human using ASL. Jason studied that and made sure he was trying to stay true to that, keeping the looseness the way a gorilla would. When I was cutting those beats, it would have been a much different scene if Jason wasn’t in there. HULLFISH: Tell me a little about the team surrounding you. On this schedule, it had to be a crack crew. MAY: I was able to bring on a really fantastic first assistant – Kenny Krauss – one who had a lot of experience cutting. I was able to give several scenes to Kenny to cut, and he really helped us keep up with camera. And as a first, his experience in dealing with the big effects movies was invaluable. We had a really strong second named Esther Sokolow, who’s a superstar. Our VFX editors were Ryan Turner and, (once we were done shooting) a guy named Nolan Reese came on. We also ended up bringing on Ray Bushey who had been Bob’s VFX editor on San Andreas. Then Bob came on and brought his assistant, Sam Bollinger, who I’ve worked with on several movies and he and Bob worked together on San Andreas and Last Jedi. You’ve got to have a crack team on a movie like this when you have a schedule that is really not conducive to a movie of this size. We had less than a year and there are 1400 visual effects shots in this movie. Some of the work is just jaw-dropping. I just can’t speak highly enough about our crew, the VFX crew and WETA. DUCSAY: Also, I just want to mention our music editor Joe Bonn was an essential member of the team. When I started out cutting on film, there was no practical way to have a soundtrack while you were editing. Now, when people screen the movie, they expect a full-on mix when they watch the director’s cut. So Joe cut a fantastic temp track for RAMPAGE. The temp has become an essential creative part of the process because the temp music — even though it eventually gets thrown out — informs a lot of decisions about the overall soundtrack and also with the real score. Particularly in this situation because Joe was also our composer Andrew Lockington’s editor. MAY: Yeah, but Steve don’t list his name because he will get snatched up. That’s why I left him out. DUCSAY: We’ll cut his name out when we see the transcript. MAY: (to Bob): Do you have any favorite scenes in the movie? From left to right: First Assistant Editor Sam Bollinger, Editor Bob Ducsay, VFX Editor Nolan Reese, VFX Editor Ryan Turner, Editor Jim May, 2nd Assistant Editor Esther Sokolow, Production Assistant Ben Stringfellow, First Assistant / Additional Editor Kenny Krauss. Missing Ray. DUCSAY: There’s a big action scene on a C17 that’s incredibly thrilling and unusual and just filled with great blocking and shooting and cutting and sound and visual effects. It’s really wonderful, and it’s a pretty long sequence, too. That scene stands out to me. And then also the scene where we first meet George which I think in many ways is one of the best character scenes in the movie. He’s a great achievement and not specifically because he’s a great photo-real CG character, but because he’s a great character. MAY: Every scene in this movie is playing really fun. HULLFISH: And how much did you have to pare down all that fun? Where were you with the editor’s cut or the director’s cut compared to the final movie? DUCSAY: Not a huge amount. Like, 20 minutes? MAY: Yeah. Director’s cut was just over two hours which is pretty good for a movie like this. All driven again by schedule and that we couldn’t afford to have a three-hour director’s cut. Schedule-wise, we had to be tight. DUCSAY: Final was about an hour 46 or something like that. What you would hope for in a movie where you have a two hour and five-minute director’s cut and what makes it to the screen is certainly a better version of it. It’s tighter and sharper but there weren’t big sequences that got cut. HULLFISH: How do you handle – in the timeline – all these layers of VFX? Because you’re getting in multiple versions of every effect. Bob, you alluded to the fact that it was like getting dailies in every single day for the whole post process. MAY: The background plate is always on the bottom – usually V1 on the Avid timeline – so you can gauge where the shot came from – the raw material. But since I had previz for many of the shots, I had the previz on a video layer as well. Because there’s a lot of times where you wanted to reference what was working in the previz, and in many cases, if the shot was all CG, then the previz would have to work as a placeholder for the shot in the timeline for a long time. Often you’d see the previz in screenings. We’ve both worked on big effects movies and the timeline is always complicated. Our timeline always has many video tracks because of all the complications of the visual effects. This is a screen grab of the Avid timeline showing how they implemented the reference material, in this case a shot of a real silverback gorilla contrasted with a rendered version of George. George needed to look photo-real. They had footage of silverbacks to use as reference, and they would go to the image in if any of one, particularly Brad or Colin (VFX supervisor) wanted to compare and contrast with the VFX shot as iterations arrived from WETA. They could quickly see how closely it matched the real thing. The tan clip on the top layer contains the reference footage (shown in detail on the left / source monitor), that was in the timeline throughout post-production. The orange clips are multiple versions of the shot (in this case WJ_1645) that we received from WETA. The most recent version usually goes on top, and is the version that plays in the timeline. MAY: We did do something on this film that I’d never done before and that’s to have a reference layer in the timeline. This is something that they did on San Andreas. Basically, it’s a video layer of reference footage. If you want to know what a building looks like as it’s crumbling down, as it’s hitting the ground, they had footage of that. Pulled from stock footage or youtube, whatever. For example, if Brad wanted to see what a large crocodile looked like as it explodes out of a river towards its prey, we had a layer to show that from stock footage. Or when a gorilla beats its chest. 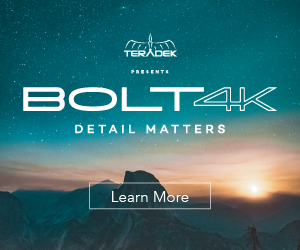 The layer is usually placed up top – above the matte and VFX title layers, and it’s loaded with imagery of stuff that pertains to imagery in our film. I could show you that in the timeline so you can see exactly how we use that reference because it basically lived in the timeline throughout post. HULLFISH:Guys thank you so much for all your time. The first 50 interviews in the series provided the material for the book, “Art of the Cut: Conversations with Film and TV Editors.” This is a unique book that breaks down interviews with many of the world’s best editors and organizes it into a virtual roundtable discussion centering on the topics editors care about. It is a powerful tool for experienced and aspiring editors alike. Cinemontage, CinemaEditor magazine and FirstFrame, the magazine for the Guild of British Film and TV editors, all gave it rave reviews. No other book provides the breadth of opinion and experience. Combined, the editors featured in the book have edited for over 1,000 years on many of the most iconic, critically acclaimed and biggest box office hits in the history of cinema.